Preach abroad. It is the cooping yourselves up in rooms that has dampened the work of God, which never was and never will be carried out to any purpose without going into the highways and hedges and compelling men and women to come in. The Herald Society is a teaching academy hosted by JeremiahCry Ministries, and is designed to teach reformational street evangelism and how to engage a culture increasingly hostile to the Christian faith. Imagine a 3-day intensive, public preaching training that covers every aspect of street preaching along with doctrine, engaging the culture, apologetics, family life, going full time, you name it. That’s some of what The Herald Society will be offering. We will be bringing in teachers that we feel are best suited to teach in these specific areas. 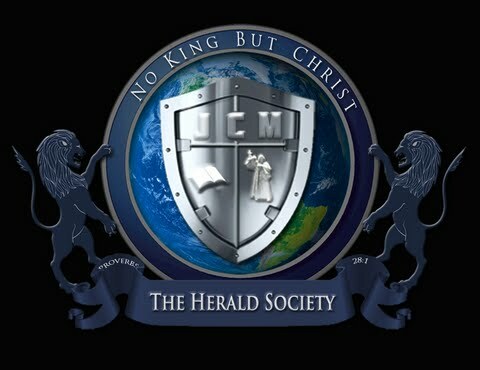 So What’s Next for the Herald Society? There are no current conferences planned but the Herald Society is more than just equipping the preacher to preach outdoors it also involves preaching tours. During a preaching tour you have the opportunity to spend time, not only preaching, but fellowshipping with other preachers. The next JeremiahCry Preaching Tour is summer 2018 in Scotland. When and where will the next confrence be? Anything near the Midwest?